The field of oncology massage is maturing into a discipline with a deeper and deeper body of knowledge. The 3rd edition of Medicine Hands reflects this maturation. 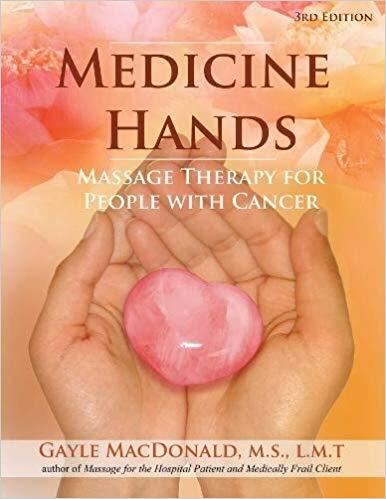 Every chapter contains updated information and insights into massaging people affected by cancer. New chapters have been added to cover each stage of the cancer experience: treatment, recovery, survivorship, side effects from the disease, and end of life. Tracy Walton is a massage therapist, researcher, writer, and educator, specializing in massage therapy in cancer care. She has worked in private practice, hospital and spa settings since 1990. 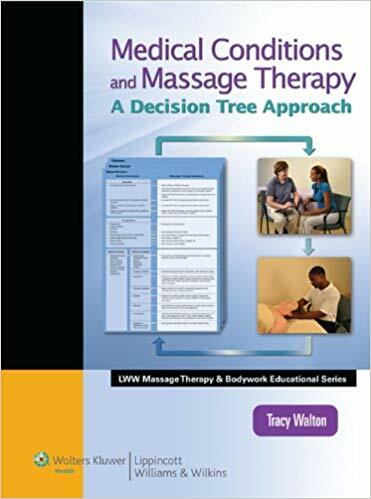 She is the author of Medical Conditions and Massage Therapy: A Decision Tree Approach (Lippincott Williams & Wilkins). She helped develop the award-winning film, “Touch, Caring, and Cancer,” massage instruction for caregivers and partners (www.partnersinhealing.net). 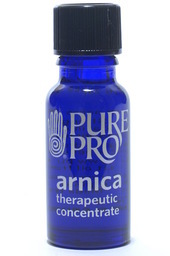 Pure Pro Arnica Therapeutic Concentrate allows you to work deeper with less soreness for your client! Don’t let the small size fool you. This concentrate is 25 times stronger than other arnica products now available. Dilute 30 drops of ATC into an 8 ounce bottle of oil or lotion for an all purpose arnica massage oil. Or use 3-4 drops undiluted on serious injuries such as Tennis Elbow & Carpal Tunnel Syndrome and massage in. Also great for your own arms after a tough day of massage sessions! 100% natural. As a Medical Massage Therapist I needed a lotion that would let me glide carefully over delicate areas like the face and neck, yet still give me enough grip to do healing work on sore or injured muscles. Most massage lotions start out too greasy and end up feeling sticky. With pure organic aloe and golden jojoba oil, Pure Pro Lotion keeps your clients’ skin feeling silky soft and workable and there’s no greasy residue, so your clients leave feeling fresh and clean. Completely unscented and pH balanced, Pure Pro Lotion is the perfect choice for elder, hospice and oncology massage or for anyone with super-sensitive skin. Perfect for Oncology massage, Geriatric, Neuromuscular, Myofascial, Medical, and Swedish massage, and for facials, manicures and decollete massage. Great for use in Physical Therapy and Chiropractic treatments. Ideal for clients with fragile skin. Available in Sample , 8 oz, 8 oz 4 Pack, Half Gallon or Gallon sizes. Gently calm and cool tired legs and feet. Our very own powerful, natural Activated Arnica Extract helps flush away toxins and reduce tenderness and swelling. Cooling French Peppermint coupled with the invigorating organic Lemongrass and antiseptic organic Tea Tree make this cream perfect for Diabetic foot care. Also ideal for easing throbbing varicose veins, low back pain, and sciatic soreness. Available in 1/2 oz Sample, 4 oz, 4 Pack of 4 oz, 28 oz and Half Gallon sizes. This gentle pH-balanced, completely unscented, natural formula gives you peace of mind when working on delicate areas such as the face, neck and abdomen. The amazing rich yet light texture of Pure Pro Deep Tissue Massage Cream gives you that gripping glide. It helps you work deeper with complete control and no slippery, waxy residue. The workable feel, creamy smooth glide and easy cleanup has made Deep Tissue Massage Cream is the #1 choice of Deep Tissue, Neuromuscular, and Medical Massage Therapists and Estheticians.